You can produce windows and doors in a flexible and economic way–and at the highest quality with a properly designed Window and Door Assembly Line. 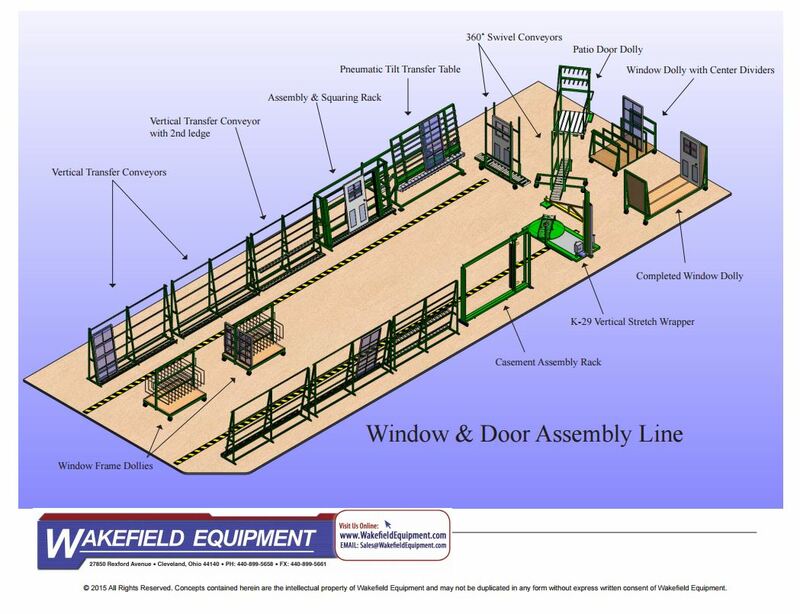 Wakefield has created the following sample so you can see how our window and door assembly equipment can work together seamlessly. 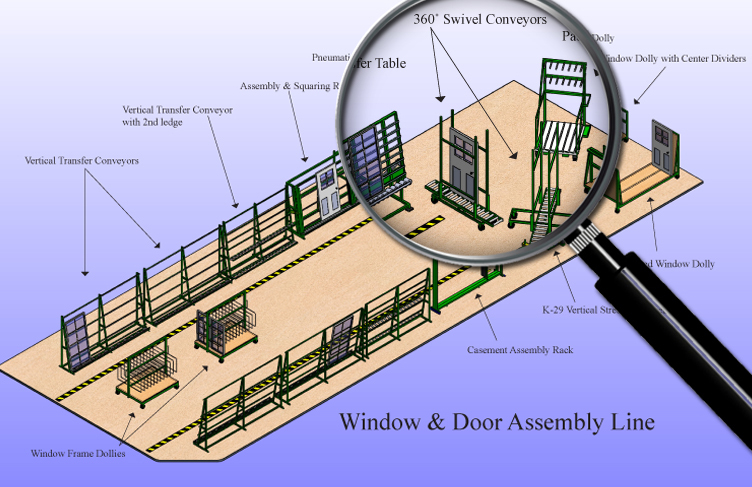 Our window and door equipment is versatile and can be custom built to fit your needs. Contact our sales team to learn more about any of our glass handling equipment and let us help you design an efficient window and door assembly line.